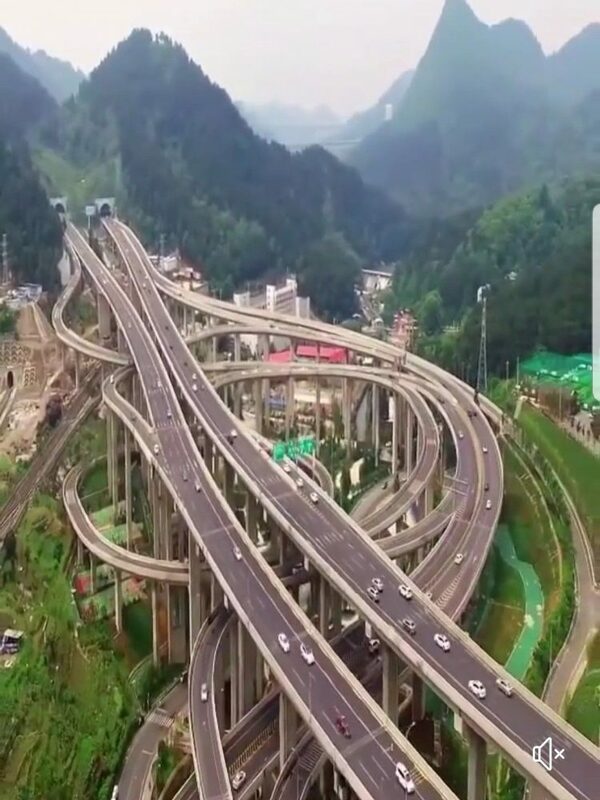 China is famous for its bewildering and oftentimes confusing highway interchanges, but the Qianchun interchange in the mountainous province of Guizhou is the only one that actually looks like a giant rollercoaster for cars and trucks. Construction on the Qianchun Interchange began in 2009, but the massive road knot was only completed last year . It consists of 18 different ramps, in 8 directions, on five different layers, with the highest one standing 37 meters above ground. Like the nearby Huangjuewan Overpass, in Chongqing, this incredibly complex infrastructure project has been labelled a nightmare for motorists trying to find their way around. A young system analyst from Brazil managed to save about half the cost of building a two storey brick house, by doing all the work himself, instead of hiring a professional construction crew. 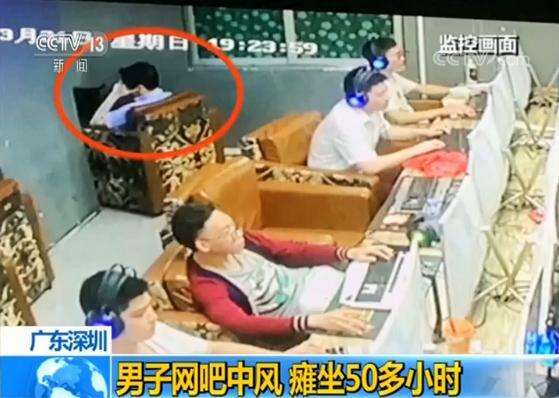 With absolutely no construction experience behind him, he turned to YouTube tutorials and advice from family and friends. 33-year-old Evandro Klimpel Balmant and his wife Ane Caroline de Jesus Balmant, 34, live in a beautiful 200 square-meter house that they built themselves, in Almirante Tamandare municipality, a metropolitan area of Curitiba, in Brazil. 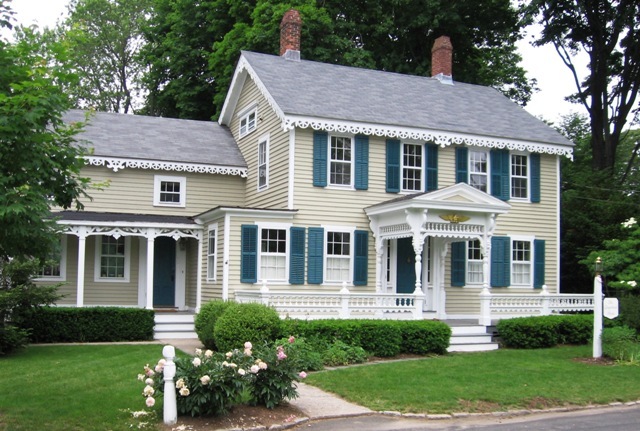 It took three long years to raise the house from the ground up, and they still have the upstairs to plaster, but they say it was worth the wait, especially since they manage to save around 50% what a house this size would have cost to build with a construction company. 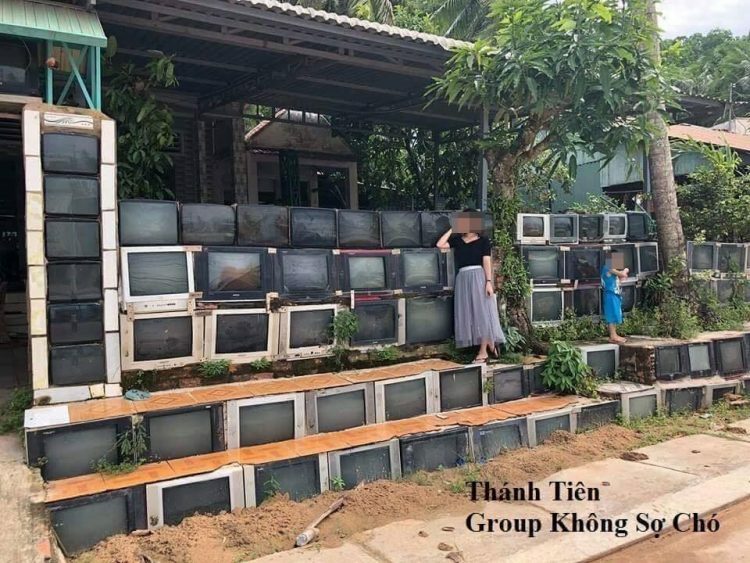 Photos of a small house on the Vietnamese island of Hon Thom have getting a lot of attention on social media for its unique fence made exclusively out of discarded old television sets. The unusual house is reportedly located on the road to Hon Thom cable car and is very popular with tourists, for obvious reasons. After all, it’s not every day that you pass by a fence constructed out of old, but somehow intact television sets. How those old cathode ray tubes haven’t been shattered by strong winds or vandals is a mystery, as is the reason why the owner decided on this particular material for the fence. Perhaps a television repairman lives there, or perhaps someone just hoarded them and one day decided to put them to good use. 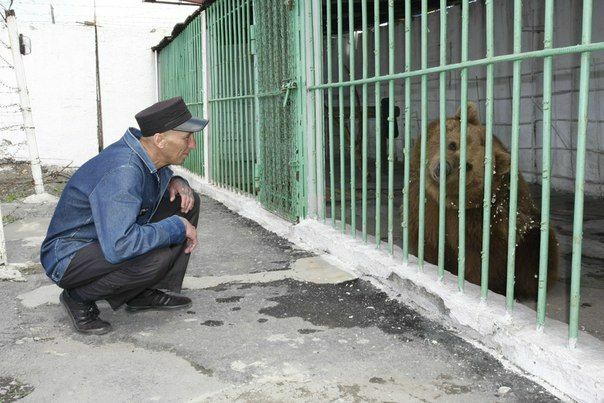 Whatever the reason, there’s no denying that the fence is a good way to attract attention. A 354-foot-tall waterfall flowing down the side of a futuristic skyscraper sounds like the kind of thing you would expect to see in a big-budget sci-fi movie, but it’s actually a sight you can feast your eyes on in real life, if you’re ever in the Chinese city of Guiyang. 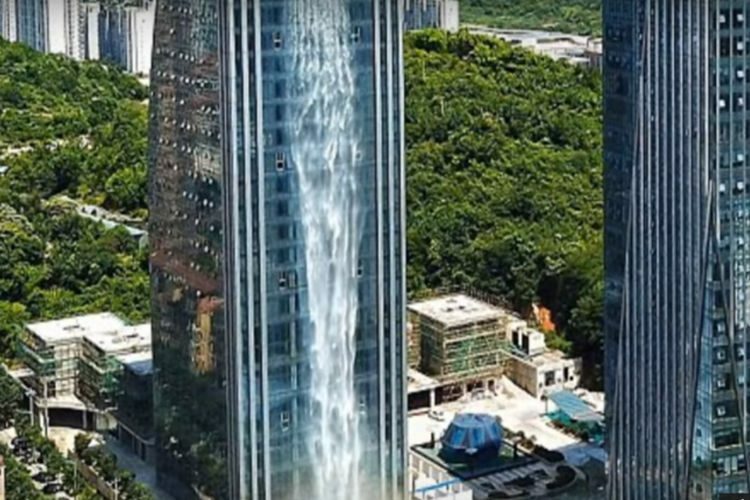 A video of the stunning waterfall, with stream of water rippling in the sun and creating a perpetual rainbow in front of the Liebian International Plaza skyscraper, went viral on social media this week, leaving millions of people around the world scratching their eyes. Measuring 108 meters (354 feet), this technological wonder is believed to be the highest artificial waterfall in the world. As one of the most popular manga and anime characters of all time, Doraemon, the cuddly robotic cat, has millions of fans all around the world, but this family in Indonesia may just be his biggest fans. Just take a look at their house and you’ll see what I mean. Doraemon is considered to be a children’s cartoon character, Reghina Karwur and her husband seem to have never outgrown their passion for the time-traveling robotic cat. 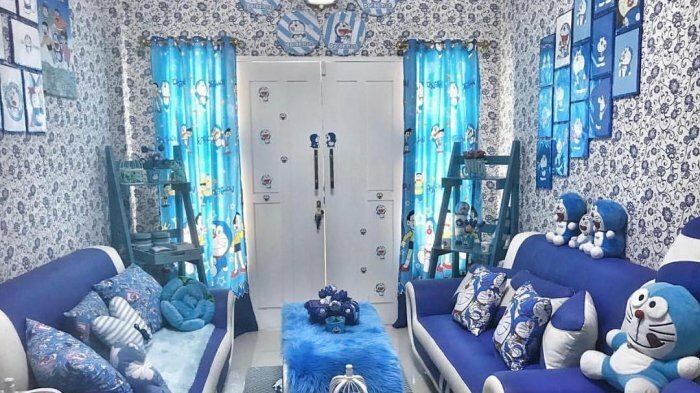 Even though they now have two daughters of their own, the couple still dedicate much of their time to their obsession with Doraemon, and their house is the best example of that. It’s basically a shrine to the Japanese cultural icon, both on the inside and the outside. The Russian city of Sochi is known as a popular seaside destination and for having hosted the 2014 Winter Olympics. 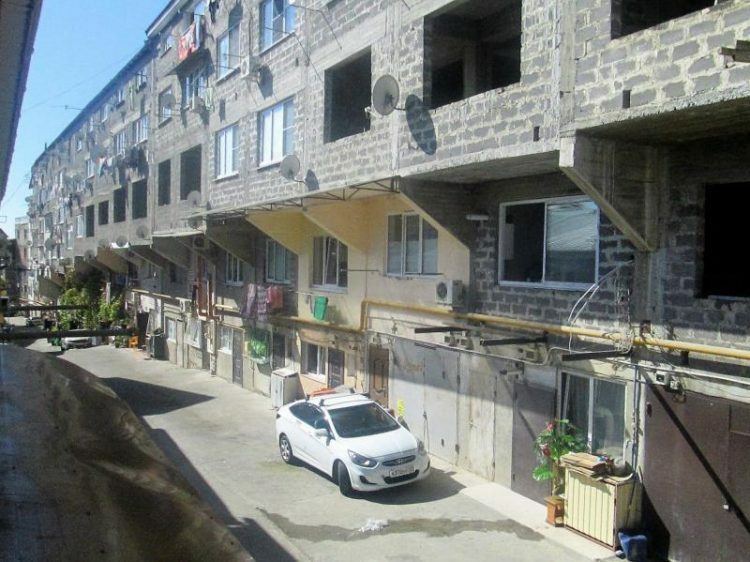 But what most people don’t know about the seaside city is that it is home to a special type of residential complexes – so-called “Russian Favelas” made up of Soviet-era car garages converted into 3, 4 even 5-storey homes. 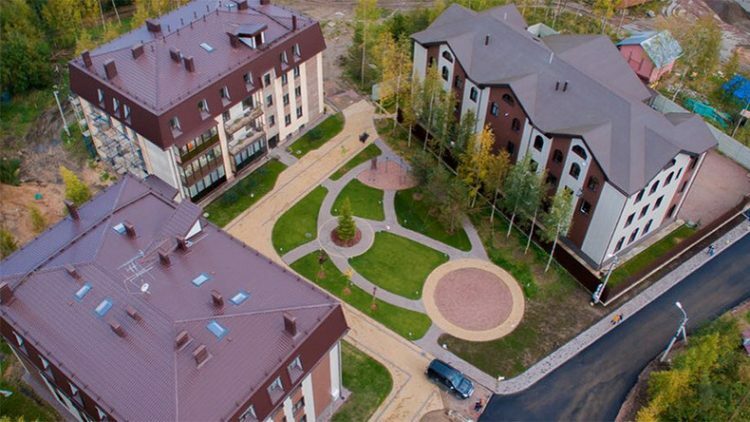 Having a garage built into a house or apartment building isn’t unusual at all, but while in the US they are considered annexes to the main building, in the Russian city of Sochi, it’s the other way around. The garage is the main building upon which owners have built several storey residential annexes which they then rent out to migrants or families too poor to afford conventional homes. In order to avoid having to register these bizarre residential buildings as actual houses and paying higher taxes, owners maintain the ground floor as garages, preferring instead to build as many storeys on top of them as legally possible to maximize their profits. 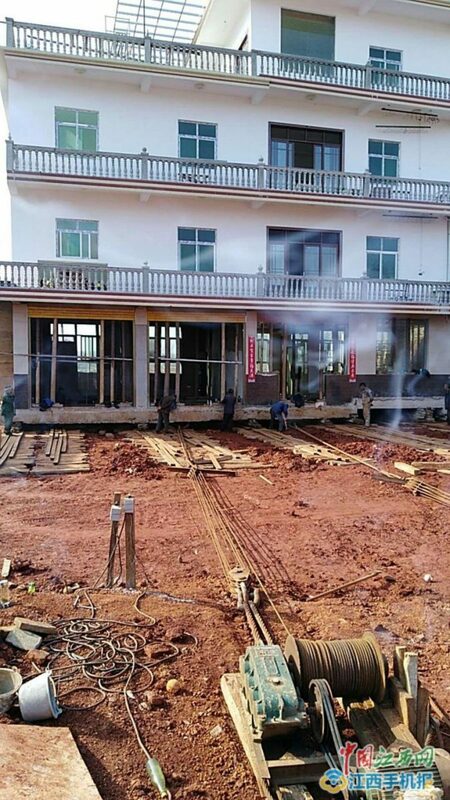 A farmer from Southern China’s Jianxi Province managed to move his entire house 40 meters away from the site of a road construction site, by using an impressive system of wooden sleepers and winches. Gao Yiping had completed work on his three-storey house in Zhouxi Town in 2014, and he and his family had only lived in it for just over a year when local authorities notified him that it was standing right in the middle of a new road construction site and needed to be demolished. 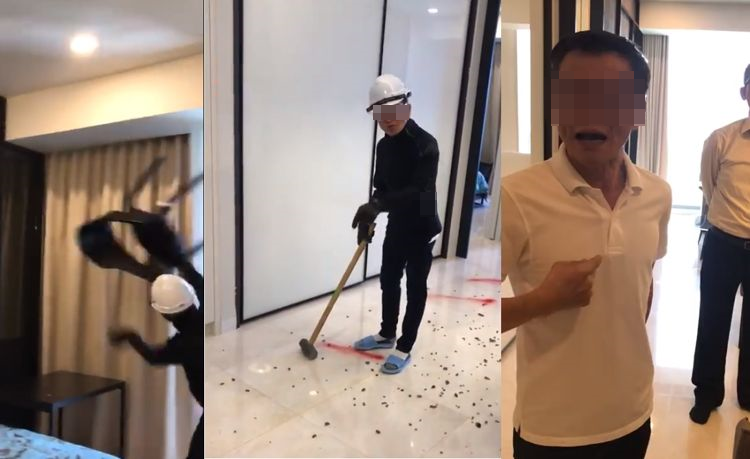 The state would offer some compensation, but Gao, who had spent around 1 million yuan ($160,000) and several years building his dream home, just couldn’t bare the thought of seeing it demolished so soon. So, last year, he started searching for an alternative. The tiny house movement has taken off over the past decade as urban developers have had to find creative solutions to soaring property prices worldwide. 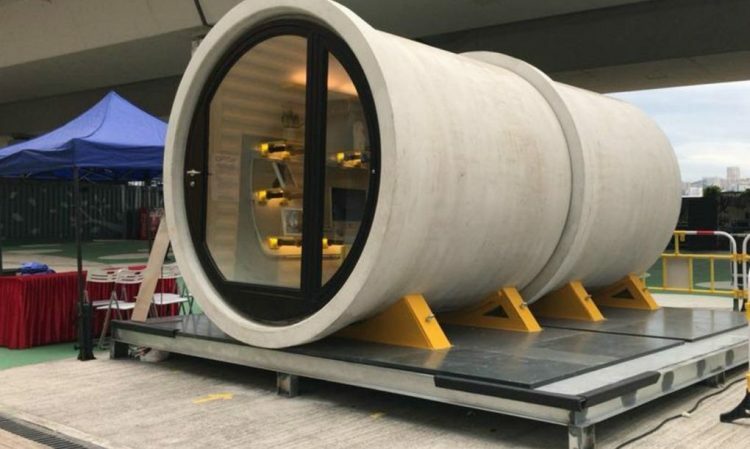 James Law Cybertecture of Hong Kong has joined this trend with their newly released Opod Tube House, made from repurposed concrete pipe. Hong Kong, one of the most populous cities on the planet, has been especially hard hit as home prices have shattered historical records for 12 straight months this past year. According to the Bangkok Post, an apartment sold this past November for HK 32,060 (USD 6,915) per square foot, making it the most expensive apartment per square foot in all of of Asia. This trend has forced over 200,000 people into tiny partitioned apartments, averaging no more than 62 square feet, and some are only able to afford individual caged beds. Government data shows a 9% increase in the number of households living in “inadequate housing,” including partitioned flats and industrial buildings. In the town of Ratomka, five kilometers from the Belorussian capital of Minsk, there is a house so spooky that some people try to avoid walking past it at all costs, especially at night. 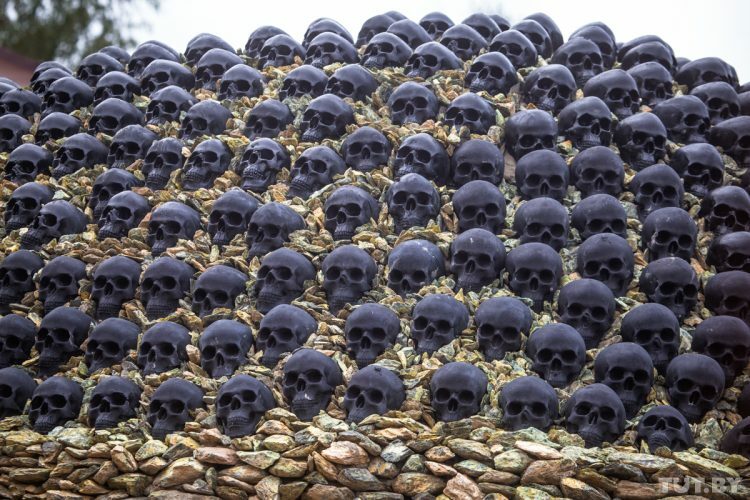 With skeletal hands coming out of the stone fence, devils decorating the roof and dozens of black skulls covering a domed structure on the property, the scariest house in Belarus is definitely a sight to behold. 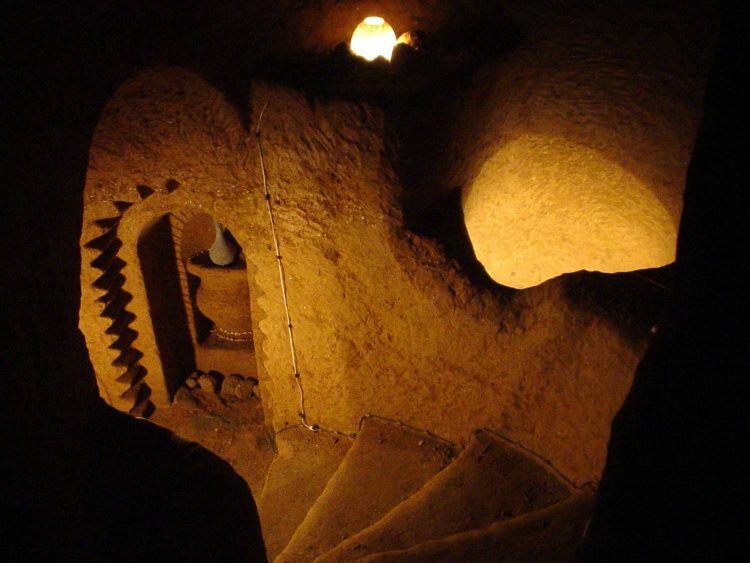 Photos of the spooky house in Ratomka recently went viral in Belarus, with most people praising the owner for the bold artistic design. However, the only reason that the house even became famous in the first place was because people living in its vicinity had been complaining that it is too spooky. 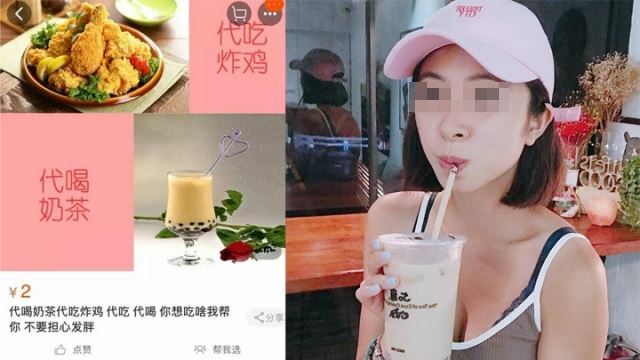 Some of them even filed complaints to the local authorities about it, claiming that the devils and skulls were scaring children and even adults walking by after dark, but they haven’t done anything about it yet.